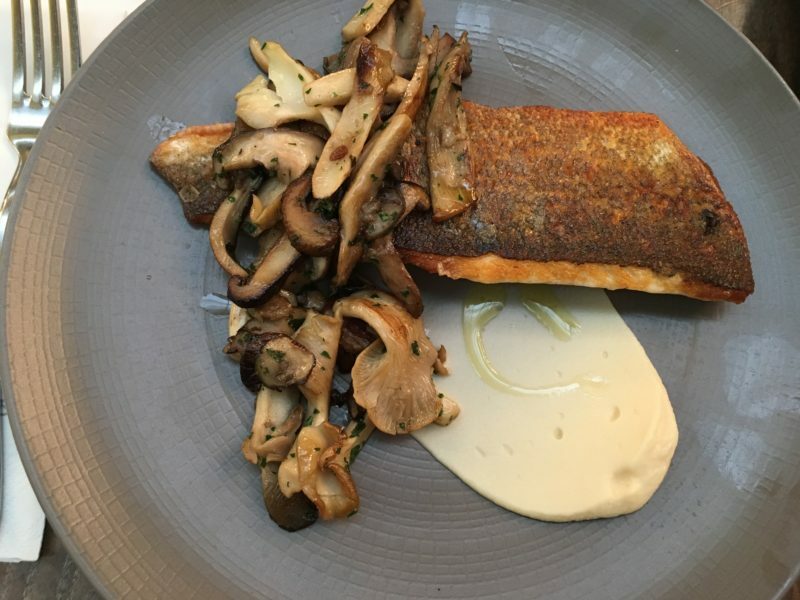 I certainly do love a Sunday brunch and especially a Sunday brunch at Harvey Nichols. It is a great way to unwind at the end up of the week, and any excuse to catch up with friends, I welcome on board. Another favourite spot of mine is Jam tree which is great in the Summer. If you are a yummy mummy, then this place is definitely for you. They welcome families at all times here and the kids menu feature burger and chips, so hey that’s an instant winner in my books. Having said that the tot decided he wanted to eat what I had and absolutely loved his sea bass. I would say get there early, around 12 or 1pm because a queue does build up. I guess it has a good reputation. The manager is super friendly and his staff are very attentive. It is also a great place for food bloggers, with the large beaming lights above each table, you are sure to get good shots of your food. Located on the fifth floor, we took the express lift straight up to the top. The tot didn’t need guiding, he knew exactly where we were going. It is amazing how quickly they pick up locations, their memory at that age astonishing. We took a couch table (my preferred) spot. The tot was entertained with crayons and paper, (the usual) which lasted about 2 minutes after which he wanted to watch Blaze and the Monster machine and so his wish was granted. My social media time went out the window if I was to keep our neighbours happy. It seems to be a place where lots of couples dine, some old, some young and I am pretty sure having a screaming toddler sat beside them isn’t their idea of a relaxed and fun Sunday afternoon, and it was not just any Sunday, this was New Years, so it was probably a hangover lunch for half these people. To start we had the parsnip soup with sourdough bread. 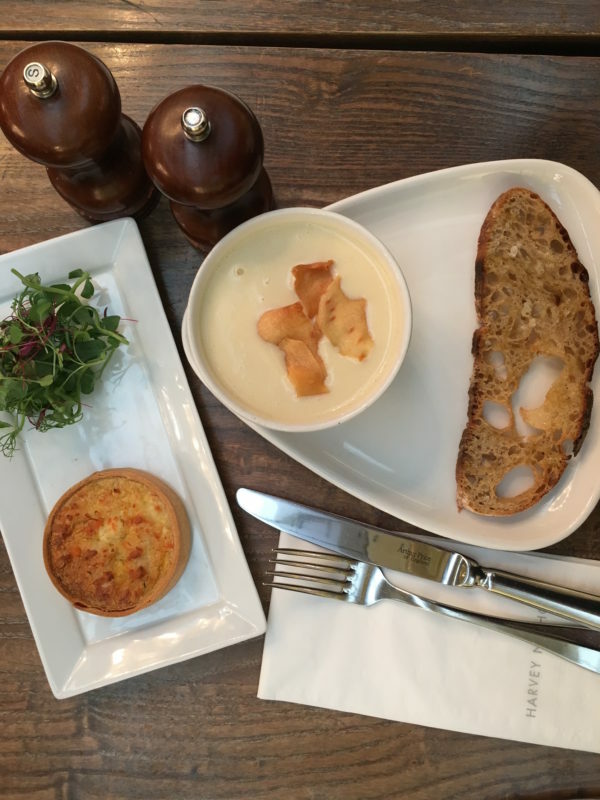 Nothing like a rich and creamy soup to kick-start a brunch. 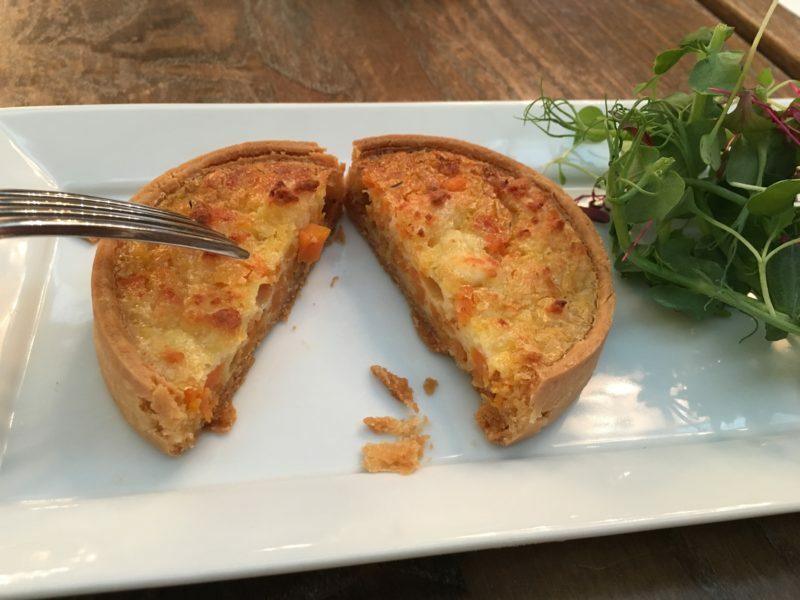 The sweet potato and goats cheese tart was one of the best I have ever tried! Seriously lush. It had just the right amount of goats cheese to compliment the sweet potato. 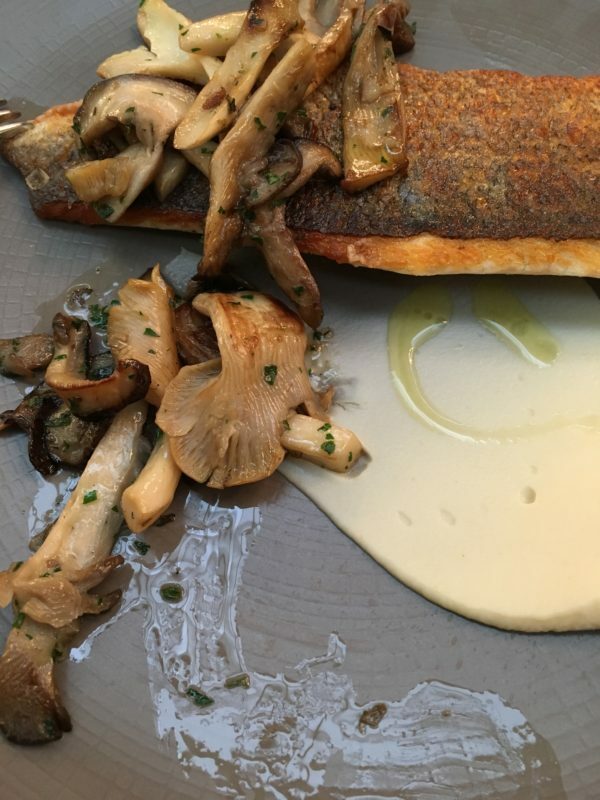 For mains, we went for the Pan-Fried Sea bass with wild mushrooms and truffle oil on a bed of creamy mash. 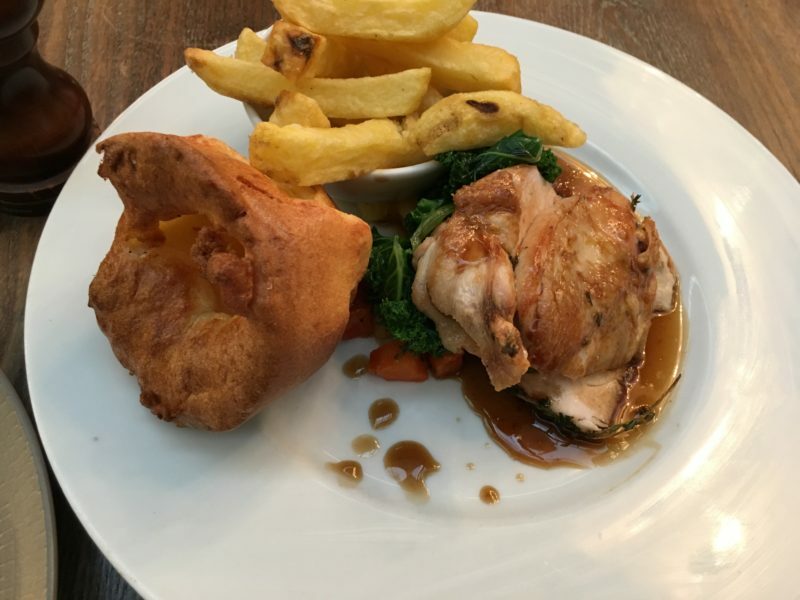 The roasted chicken breast with seasonal vegetables and Yorkshire pudding was just the way I liked it, with enough of each portion. The chicken was juicy and tender and the drizzled sauce made a great dipping medium for the chunky fries. This Yorkshire pudding was really something! It has to be the best I have ever tasted. It just crunches in your mouth, not too dry and not too oily. A definite must try if you come here. Dessert was a quick one with the tot being quite restless. Bless him, he does so well waiting patiently whilst I take my snap after snap in an attempt to obtain perfect shots. The first couple of shots mind you were done using my phone camera as I had mistakenly left the camera in the car. In my defence, the tot was playing with it and it slipped my mind to grab it off him when leaving. So back to the desert. 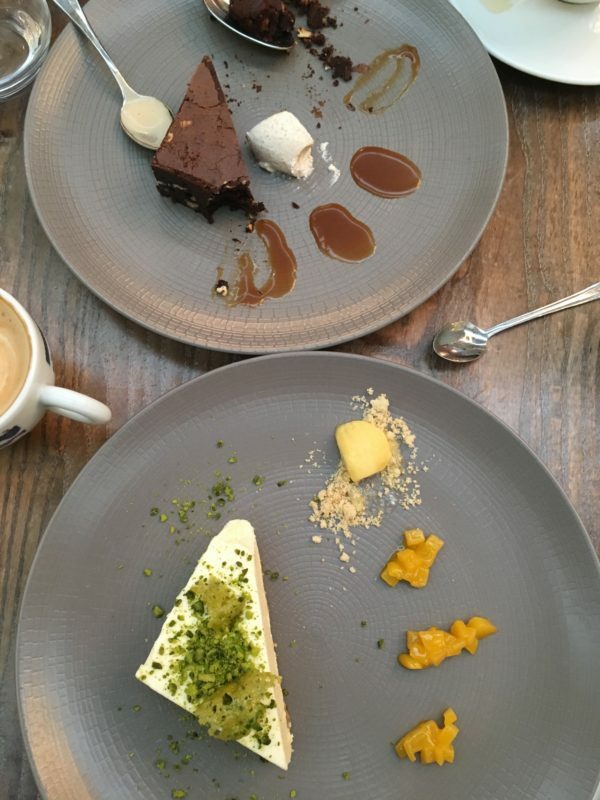 We went for the white chocolate cheesecake which I thought was the best option on the menu. The toasted pistachio topping made a great combo with the rich and creamy cheesecake. The chocolate brownie was option number two. I tend to stay clear of brownies usually as they can be very dry but the manager insisted it was a must try and I was impressed to say the least. The side of chestnut cream was dreamy, heaven on a plate. For those dairy intolerant people out there, coffees can be served with almond milk. Hurray! There are not that many places in London that serve almond milk, however it is becoming more and more common with cult of becoming more health conscious. A delightful way to enter the New Year. It was a pleasant afternoon. I am thinking another Sunday lunch is needed here. Thanks Harvey Nichols Cafe and Terrace for a wonderful afternoon here. The staff here are so welcoming, which is an added bonus especially when you have kids accompanying you. 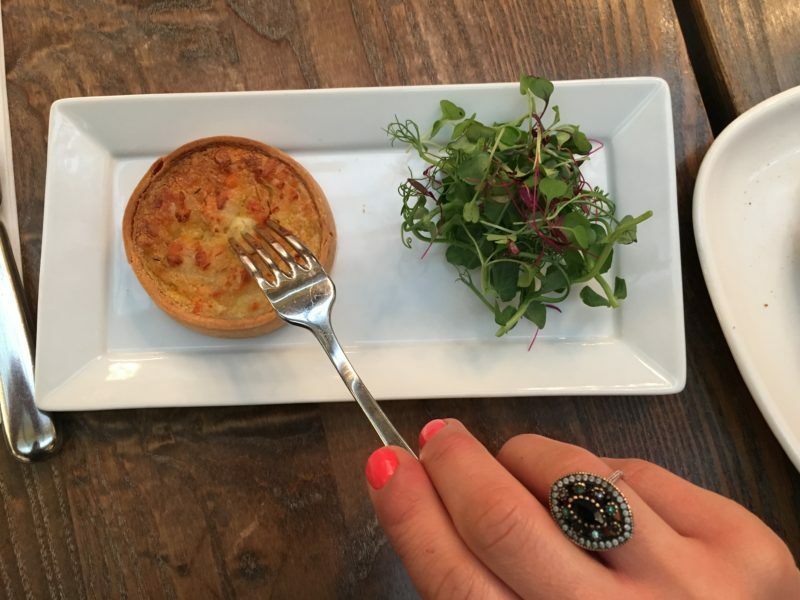 Where will you be lunch-ing this Sunday? Wow no I havent. Unlimited tea and coffee? That is heaven.There is I have seen a Maggies in Ealing?